A Couple's Love Blooms At Christmas Octavius Humphries' and Seth Smiley's story began on Christmas Eve 2010. They'd met online and agreed to a first date on Christmas Eve. Three Christmases later, Octavius proposed to Seth. 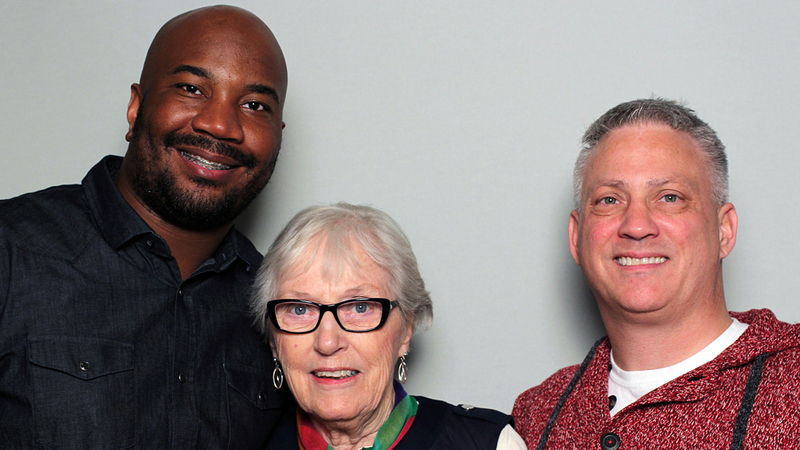 Octavius Humphries, 32, (left) Seth Smiley, 51, and Seth's mom, Carole Smiley, 81, visited StoryCorps in Atlanta. Octavius Humphries' and Seth Smiley's story began on Christmas Eve 2010. They'd met online and, despite a 19-year age difference, agreed to a first date on Christmas Eve. Octavius describes it as an "amazing" first date. And then Seth told him his mother was expecting the two of them for Christmas dinner. "I just thought, nobody really should be alone on Christmas," Seth says. "Me being black and you being white and the age difference," Octavius says, "I thought that this was just going to be a recipe for disaster." But Octavius instantly lit up the house, Carole remembers. "And I felt, 'Maybe this is Mr. Right,' " she says. "And I think that I kissed you." "You didn't just kiss him," Seth says. "You kissed him on the lips." "As shocking as it was I knew I was home," Octavius says. "When I was 22, I lost my father, and two years following that my mother passed away. And so Christmas and the holidays was just a constant reminder that they were missing. But when I met you and you invited me into your home it gave me that sense of family again instantly." Seth, Octavius and their infant son, Julian, will celebrate their first Christmas together this year. At Christmas three years later, Octavius proposed to Seth. "We're sitting there at dinner. I remember starting with, 'I just want to share with you how special this is for me,' " Octavius says. "Everyone stopped eating because they were hip to what was about to happen. Except for Seth." "I was like, 'Oh my God, here we go again.' Cause you're such an emotional person. I was like, 'Ah jeez, I gotta listen to this,' " Seth says. Seth had no idea, Octavius says, and he "just continued shoveling food down his throat." Then he realized it was a proposal. "I was so happy," Carole says. "It was awesome." 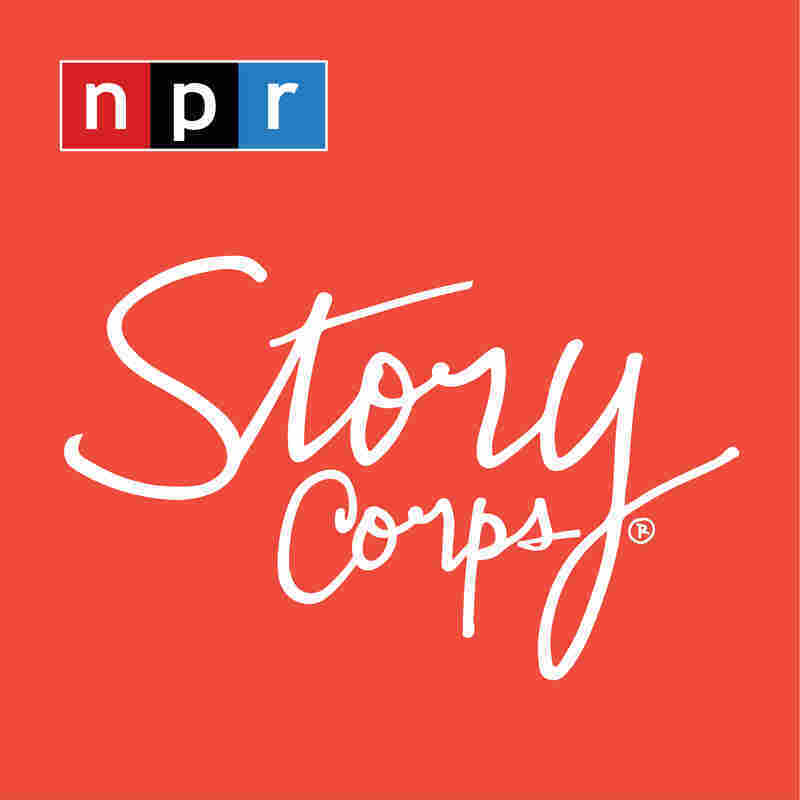 "Having come out in 1983 in Atlanta, Georgia," Seth says. "[I] always wanted to get married, always wanted to have a family. But today, it's a reality with you." Produced for Morning Edition by John White.